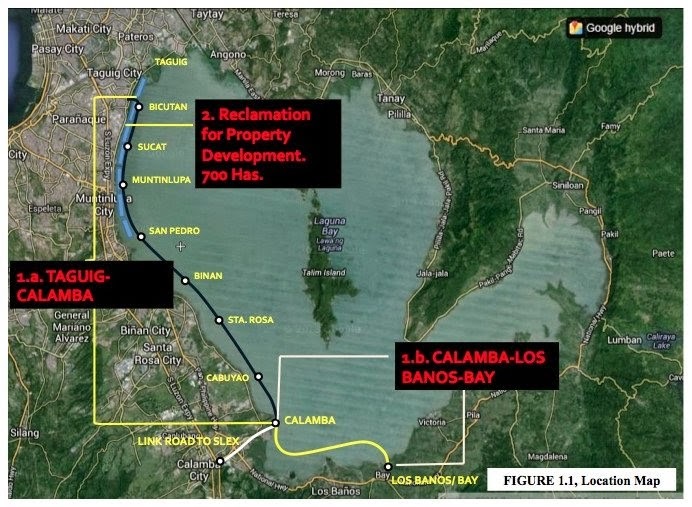 Random Thoughts of Gil Camporazo: Laguna Lakeshore Expressway Dike, Feasible? Why Not Prioritized? Laguna Lakeshore Expressway Dike, Feasible? Why Not Prioritized? In every monsoon rains the Laguna area is always flooded with water due to a shallow Laguna de Bay. To control the possible over flooding of water in the said area, Laguna de Bay should be dredged and as plan by President Noynoy Aquino is to construct a dig dike to control the rising water level of the said Bay. It has been recalled that last year in the same month of August, a heavy downpour made the lake's water level to rise to 12.55 meters, more than a bit to 12.50 critical level. Gov. Jeorge "ER" Ejercito of Laguna worried about that situation of his province wherein 20,000 families were already affected and 47 evacuation centers were organized to accommodate those affected families. The flooding dilemma has kept on haunting the families in Laguna and even endangering their lives every time the rains pours on for several hours. The President in his 5th state of the nation address mentioned a solution to this over flooding Laguna caused by a shallow Laguna de Bay. He said a big dike should be dredged so that the big water brough about by rains would be controlled or even slowed down so as not to flood some places in Laguna. When it should be done? This has already been given attention since 2 years ago. And then it is again taken up or mentioned in his SONA. Everyone is hoping that a plan to build a 100-km dike could solve the overflowing Laguna of water and control the life-threatening flood waters. Sooner or later this will be realized. A 2.2 billion 8-km dike is to be constructed in Valenzuela City. In this case, flood waters could be controlled. a. P200 billion in foreign aids for flood control. b. P17.5-billion flood control budget allocation could be increased to P25 billion. d. The sin tax reform bill so that the money that could be raised from it could be used for flood control. e. And the bill, as approved by the House, is estimated to generate at least P30 billion in additional revenues. In so doing, solutions are reached in three best opportunities. One, flooding in nearby areas will be minimized. Two, the water of Laguna Lake will be cleaner. And three, there is less traffic for an expressway will be built on top of the dike, which will traverse from Los Baños to Taguig. However, the big question is: why is it not realized? Why is it to have to be mentioned in President's SONA as priority? c. Hidden agenda (transparency) which only the Chief Executive knows. 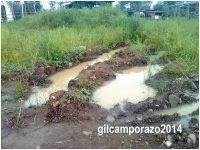 Do you have any idea of why of the delay or not being prioritized by the government this Laguna dike project? Yes, it must be prioritized for its approval and operations to augment with the problems people were facing with constant flooding when it rains heavily and typhoons. Moreover, the President must study thoroughly this project for long term purposes. I think, and hope that majority will approve for this project. This is the countries largest lake right at the doorstep of the capital, it will be better off as a natural park or marine reserve, rather than a cesspit full of fish pens and what not that clog and destroy the natural eco system of the lake . If the government can get its act together and turn the lake into a national park, tourism and transport related industries can be created around the lake, which fishermen can then be converted to work in . You can have yacht clubs, wind surfing, some small scale sport fishing, and of course beach clubs, hotels, lake ferry systems, house boat rental, boat rental, a green belt cycle and walking path along the entire lake would need roadside vendors etc, there are all sorts of possibilities . I think 2 yrs is so long, they need to start the project. I also believe that they should implement this project. But they should also consider the affected residences of Laguna de Bay. Do they have already plan for them? That is also the question of the people,. If what the government is telling is true, then 'bakit ang project na ito ay natutulog sa kankungan' . Is the government waiting for someone or something?